Published by Anthroposophic Press, Inc. 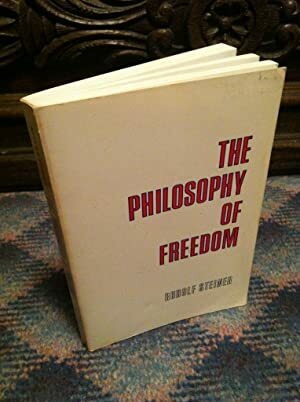 The Philosophy of Freedom is the fundamental philosophical work of the philosopher and esotericist Rudolf Steiner (1861&#x2013;1925). It addresses the questions whether and in what sense human beings can be said to be free. Part One of The Philosophy of Freedom examines the basis for freedom in human thinking, gives an account of the relationship between knowledge and perception, and explores the reliability of thinking as a means to knowledge. In a central chapter Steiner argues that thinking proceeds only on the basis of its own internal content. In Part Two Steiner analyzes the conditions necessary for freedom of action. In human action the internal content of thinking insulates it from the effects of external causality and results, when it is applied, in freedom. He develops a moral philosophy he describes as &quot;ethical individualism&quot;. The book's subtitle, Some results of introspective observation following the methods of natural science, describes the philosophical method Steiner intends to follow. Originally published in 1894 in German as Die Philosophie der Freiheit, with a second edition published in 1918, the work has appeared under a number of English titles, including The Philosophy of Freedom, The Philosophy of Spiritual Activity, and Intuitive Thinking as a Spiritual Path. This edition is the 1916 second edition edited by Hoernle.